Dentistry is a really fascinating field, although I might be a little biased in that regard. Sometimes we get asked, “Are dentists medical doctors?” We’re not medical doctors, but we do complete similar training. Here are some other frequently asked questions about dentistry. The letters DDS after a dentist’s name stand for Doctor of Dental Surgery. That involves four years of undergraduate education followed by four years of doctoral training at dental school. Although we go through the same amount of school as a medical doctor, dentists only continue on to residencies to pursue more specialized areas of dentistry. During our time in school, we practice a lot on plastic teeth and mannequins with teeth. We practice fillings, crowns, and root canals on a mannequin in a simulation lab prior to doing those procedures on patients. Once we move forward from practicing on a mannequin, we start doing very simple procedures on our fellow dental students. Once we’ve reached a certain level of practice, we’re assigned patients to work on. Can dentists remove wisdom teeth? Another procedure we are trained on is the extraction of wisdom teeth, although not all dentists regularly remove wisdom teeth. It depends on each dentist’s level of comfort and the specifics of each patient case. Some are more comfortable with removing wisdom teeth than others. 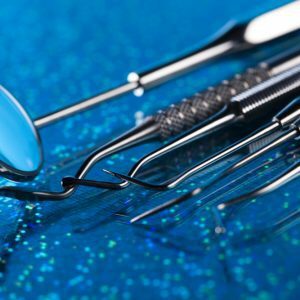 In our practice, we do remove the majority of wisdom teeth, but there are some cases that we refer out to oral surgeons with additional training. Can dentists prescribe medicine for sedation? If a patient is anxious about their dental cleaning or any other procedure, we offer a range of sedation options to help them relax, including oral sedation. We also offer nitrous oxide (laughing gas) and try to provide a relaxing environment to help calm the patient’s nerves. We have televisions mounted in the ceiling, and patients can watch a show of their choice on Netflix during their appointment. What should I expect at a new patient appointment? When we see patients for the first time, we spend more time with them than at a routine appointment. At the first appointment, we collect diagnostic information and take x-rays to fully evaluate the patient’s oral health. We will check all of the teeth and all of the gums and take photographs. Routine visits after that initial exam and cleaning are usually shorter appointments. What should I expect at a regular appointment? During routine appointments, our dental hygienists clean your teeth. They focus on removing all of the stain, buildup, and plaque on your teeth. Following the cleaning, the dentist will review your x-rays and do an exam. If teeth whitening is something of interest, we can use products that are stronger than over-the-counter whiteners after your initial cleaning. These stronger products get results much faster than products you can buy at a store. Have questions about a dental issue and wondering if our dental office can help? Contact us today for more information.